Price: Rs. 950/- Per Head Please Call for availability before you book any Event/Trek, to avoid 5% Transaction Charges. As per the Tradition of last 17 years this year also Explorers have arranged the Waterfall Rappelling & Flying Fox for Near Lonavala. Getting down around 60 feet through a gushing waterfall & Fly like a bird around 150 feet with the Technique of Flying fox is really a Stunning Experience. Rappelling is the controlled descent down a rock face using a rope. Join us for this One Full Day of Mind Blowing Adventure Rush with 100% Safety!!!!!!. 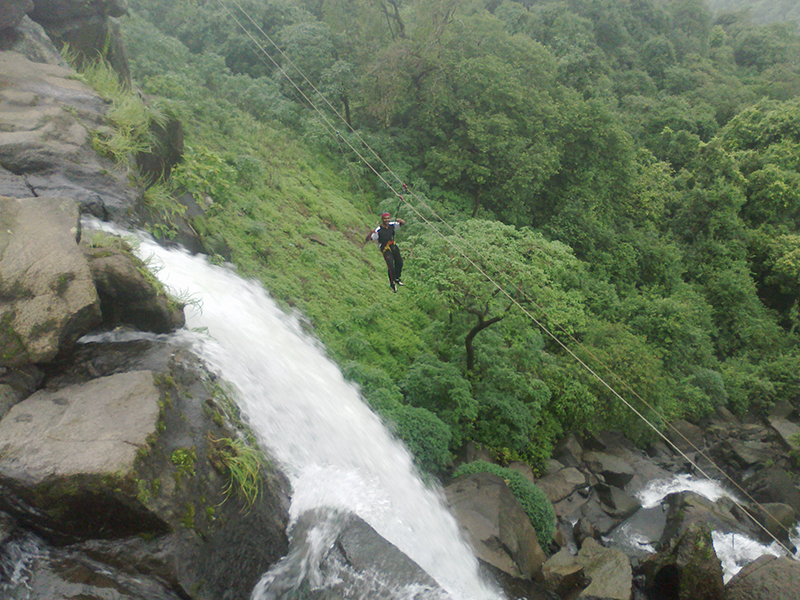 Please Call for availability before you book Lonavala Waterfall Rappelling, to avoid 5% Transaction Charges. 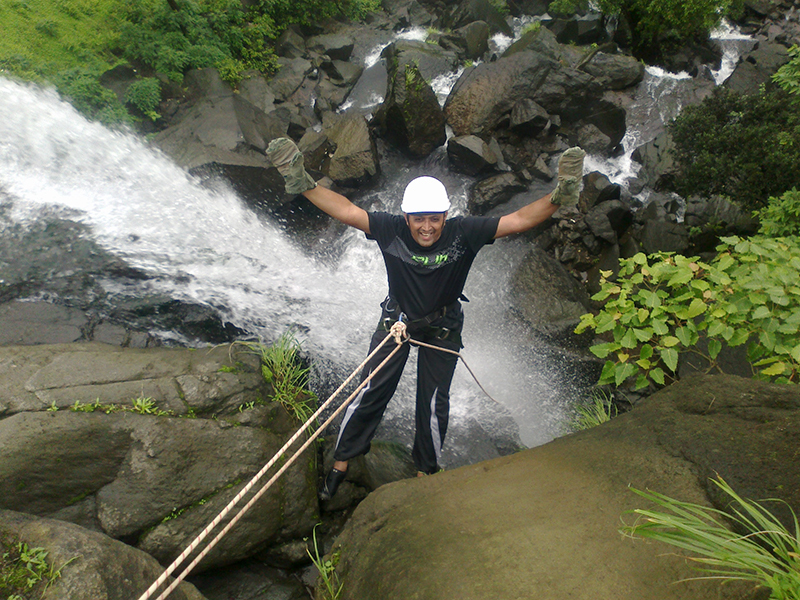 Last date of Enrollment for Lonavala Waterfall Rappelling: Before 3 days of the date of trek or till seats left. Departure Date & Time for Lonavala Waterfall Rappelling: On the day of trek by Sharp 05.45 am from Shivajinagar Railway Station. Walking Time (estimated) for Lonavala Waterfall Rappelling: 2 hours to reach the Waterfall & 2 hours for return trek towards Lonavala. 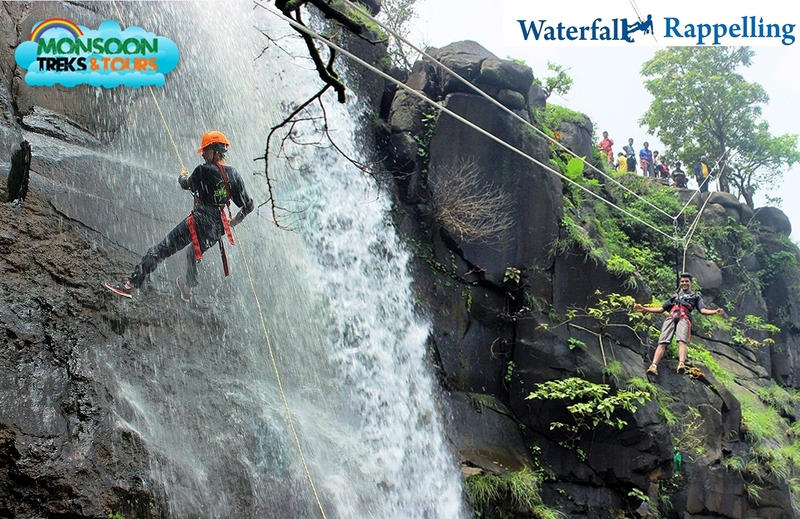 Age Group for Lonavala Waterfall Rappelling: 15 to 50 years (people above 50 years will be allowed after meeting at Explorers Office). 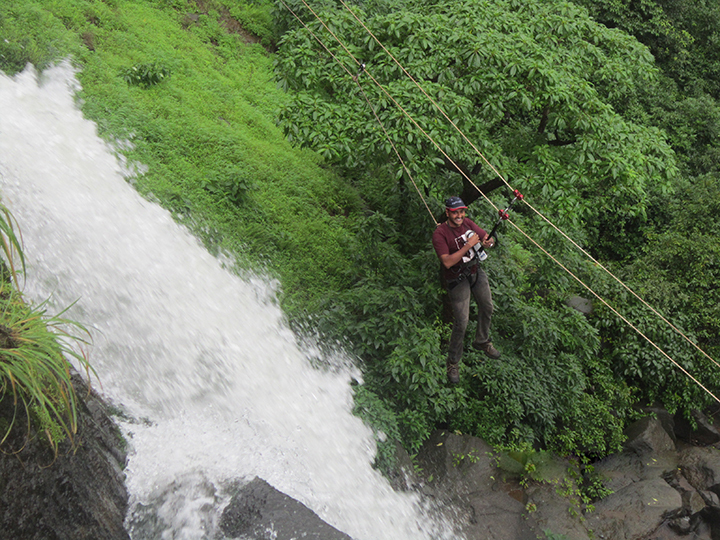 Mode of Transport for Lonavala Waterfall Rappelling: Pune – Lonavala – Pune by Local. (No Seat Reservation). 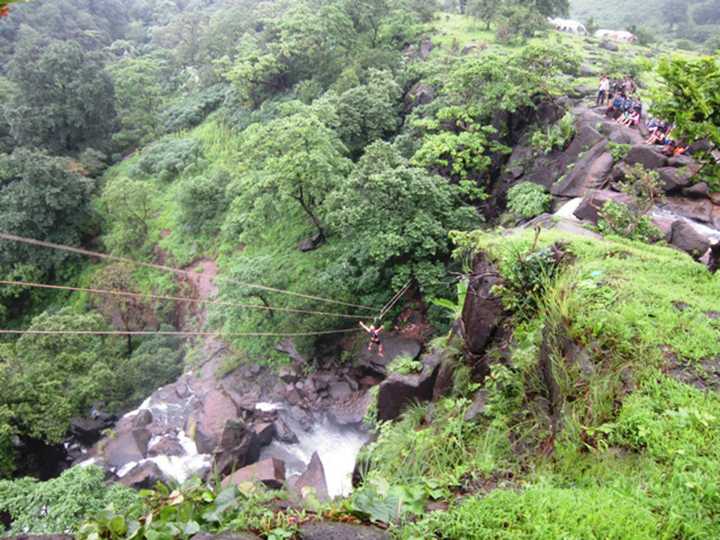 Batch Limit for Lonavala Waterfall Rappelling: 40 Participants. 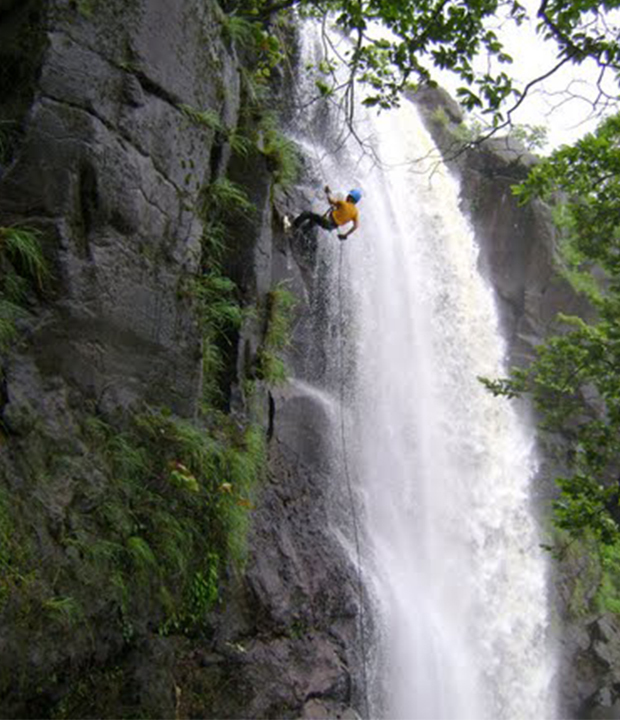 Route for Lonavala Waterfall Rappelling: Pune – Lonavala – Pune. Two Wheeler Parking for Lonavala Waterfall Rappelling: Paid parking available at shivajinagar railway station at owner’s risk at an extra cost. Reach Lonavala Station. Mumbai Participants can Join us directly at Lonavala by their own arrangements before 7.30 am. If Mumbai participants are coming by Indrayni Express then they can take a auto till Lagoona Resort at their own expenses & Join the group. Toilets are not available throughout the Trek & at Base Village. Reach Plateau. Have a Breakfast. 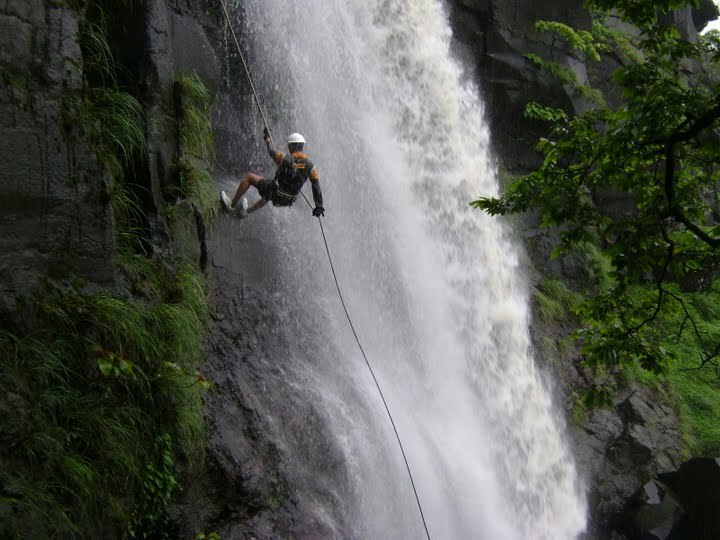 Introduction, Briefing & Demo about waterfall Rappelling, Safety measures, etc. by Team Explorers. Start Flying fox, Waterfall Rappelling one by one as per the admissions. 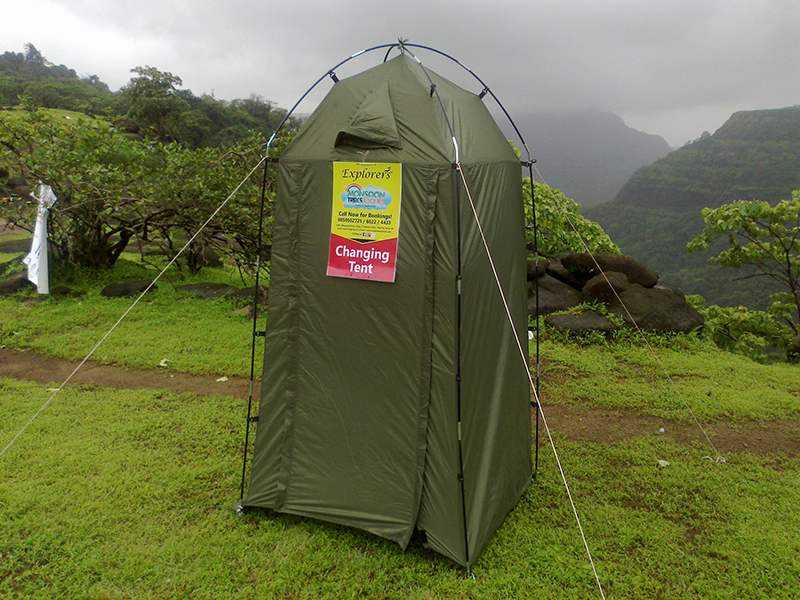 Changing Tent is available at the venue. You can change after the end of all activities. Activity ends with Happy memories…… Start a plain walk of 8 kms, 2 Hours towards Lonavala Railway station OR you can hire a Sumo at your Own Expenses. After the end of activity You can go to Lonavala railway station directly by reporting the Team Explorers. Team Explorers will not accompany you for return trek. After Reaching at Lonavala Railway Station board Lonavala – Pune Local from Platform No.3. Transport by Local (Pune – Lonavala – Pune). No Seat Reservation. Morning Tea & Breakfast (Limited). 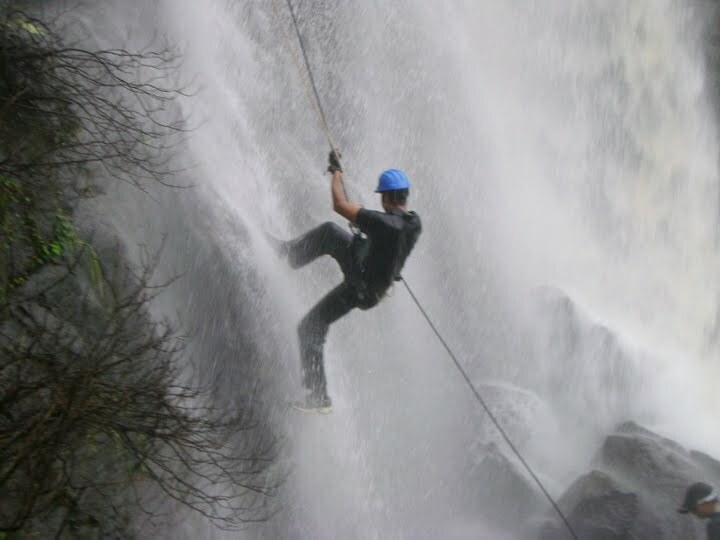 Waterfall Rappelling & Flying Fox with all Safety Gears. Certified & Expert Team of Explorers. Changing tent for Changing purpose Only. Lunch, Cold drinks, Mineral water, etc. Separate Plastic Bags to save your Mobile, wallet from Rain & to keep wet cloths. Extra Dress in a Plastic Bag. Rainproof / Umbrella / Sun Cap / Warm Wear as per Season. * This is just a reminder list of what to Bring. You can bring other things as per the Need. Don’t keep valuable things while trekking. Always keep your Original Photo ID with you. Follow all the Instructions given by Team Explorers. Don’t expect similiar food quality of your home town. Try local food to have some different experience. Respect the Local Religion & Traditions. While taking photographs don’t click photo’s of local people without their permission. Don’t keep anything like mobile, Wallet, Gold ornaments at the time of Adventure Activity. Make New friends & share your thoughts in a Group. Food: Pure Vegetarian Food will be served by Explorers. If you want Non veg. Food, you can take it at Extra Cost at Actual. Please take the Railway Food (Tea, Breakfast, Lunch or Dinner) in Proper time at Own Cost. Medicine: Bring personal medicines, if any & the necessary things given in a list. Railway Reservations: It is not possible for Explorers to ensure that the Participants will get Railway Reservations together or in the same compartment because of random seat allotment by Railway Computerized System. Transport & Jungle Safari: For Jungle Safari six people can travel in a Gypsy, but it is not sure that same Group / Family can travel in a same Gypsy. If any Natural Calamity or Technical problem results into late or Safari get cancelled then Explorers or the leaders of Explorers are not responsible for same & in that case No refund is admissible. Jungle Safari Zone: For Jungle Safari Explorers will choose the Safari zones as per the availability. We are not giving commitment of any specific zone Safari. Room Allotment: In case of Odd number of Participants or Male / Female Ratio, It is not possible for Explorers to ensure that same Group / Family will accommodate in a same Room. TWO Persons on Bed & TWO persons will be provided by Mattresses, Blanket, Pillow, etc. Hot Water: In Early Morning Warm Water will be served for Refreshment & in Afternoon Hot Water for Bath. Drinking Water: Mineral Water Bottles will not be provided by the Explorers throughout the Tour. During the Camp all the participants should obey all the instructions and decisions taken by the authorised representative of Explorers or Camp Leader. During any type of event, in case of any dispute for whatsoever reasons, the decision of the Camp Leader or authorized representative of Explorers shall be final and binding on all the participants. The Participants shall be solely liable for the risks, responsibilities and consequences. Medical Treatment: In case of any medical ailments, a disorder etc. which the participants are suffering or have suffered from, it is his/her responsibility to inform the organisers in advance, before commencement of the camp or trek. If required, the participant(s) will have to take medical treatment from the doctor / attendant available on the campsite or from the nearest available medical centre or hospital. The expenses for all medical treatment and arrangements for the same will be solely borne by the participant ONLY. The Camp Leader or the authorised representative shall have complete discretion to continue the camp without the participant(s) suffering from medical problem. Photographs or Video Clips: Explorers reserves the right to use Photographs / Video Clips of the tourist taken on tour and / or given by tourist, for promotion of the Company’s Business without obtaining prior permission of the concerned tourist. Consumption of liquor, tobacco products, cigarette etc. is strictly prohibited during any type of Event. The trek will be considered over only when we are back to our decided arrival place. Participants should not deface or damage any monument by writing or scribbling on them. Any breach of the above two rules will be taken seriously, and will be removed from the trek or camp, and no refund is admissible in such cases. In case of any injury, sickness, accident, death or any other casualty or loss or damage of valuables or luggage or any equipment; Explorers, it’s instructors, organisers, volunteers or any other person involved wholly or partially, either individually or jointly, shall not be responsible in any manner for the same and no claims of the participants, parents, guardians, relatives or friends of participants will be entertained. If the participants have enrolled for the activities like wildlife camping or any type of adventure sports activity, then all the risks and responsibilities related to and arising from such activities shall be solely upon such participants and Explorers shall not be liable in any manner whatsoever. Insurance: Neither participants nor any event shall be insured by Explorers, unless mentioned specifically. Please Note that any Claims, disputes, court case, etc. shall be subject to Pune Jurisdiction only. Name & No. of Trek Leader will be send to you by SMS & Email before 2 days of departure.